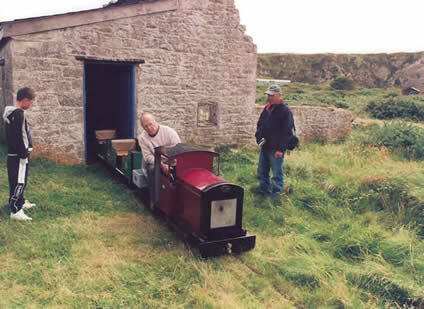 The Alderney Miniature Railway is on Alderney, one of the Channel Island, and is an added attraction to the standard gauge ‘Alderney Railway’. Situated within Mannez Quarry, the line runs for 400 yards in a circuit. Trains are operated by one petrol locomotive which pulls by three sit-astride carriages or a 1st class sit-in carriage. AMR Page was last updated on the 20th August 2010 with opening times altered. © 2012 Copyright - Miniature Railway World, All Rights Reserved. Please do not use any content from Miniature Railway World, without prior permission from the Miniature Railway World team.